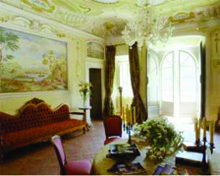 Explore Tuscany, Italy post Thanksgiving with Anne in Luxury! Give thanks for the sumptuous gifts in life with this 1 week tour of Tuscany. Spend your days tasting fabulous wine, learning the Tuscan art of cooking, and visiting sites such as the Tower of Pisa. Spend your nights at Villa Celeste, a luxurious villa that dates back to 500 AD. This luxurious tour, organized by Women Destination Club, promises to be unforgettable. Tour designed for female solo travelers and/or small group of friends. Limit 16. The tour begins with wine tasting in the Chianti countryside, exploring picturesque villages along the way. You will enjoy a cooking class at Villa Celeste, and visit the leaning tower and cathedral at Pisa’s Campo dei miracoli. Heading north, you will visit the beach at Lido di Camaiore and Livorno. The tour continues with a visit to the beautiful hill town of Volterra and the fountain at the Piazza della Cisterna. From there, driving north to Lucca, the tour will visit churches and the amphitheater before moving on to the Estrucan town of Barga. Later, the tour will visit the incredible 14th century monastery Certosa di Pisa, and tour the villas and gardens of Lucca. There will be several opportunities to visit a spa, as well as opportunities to shop for gifts and designer goods. Villa Celeste, located in the town of Vorno, is a lavish nine bedroom estate with a private swimming pool, lush gardens, opulent furnishings and the backdrop of the Tuscan countryside. 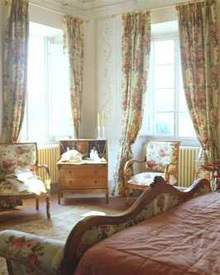 Included in the tour price are a chef and housekeeping services. $5,000 per guest for one bedroom with a king size bed. $4,100 per guest for all shared bedrooms, based on 16 guests. Continental breakfast, lunch and dinner are included in the tour price. Let her know that Tango Diva sent you – special bonus gift for Tango Diva members. I wish I could go! Reminds me of Under The Tuscan Sun. Believe it or not I will probably do a tour renting that same villa that was in the film, “under the tuscan sun”. I will have a few cheaper trips in 2009. Let your friends know about the luxury tour of Tuscany.